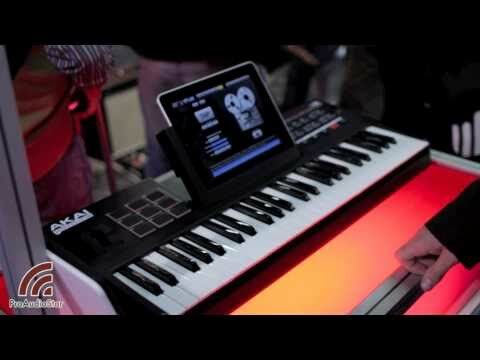 The Akai SynthStation 49 is the most advanced, intuitive music controller designed specifically for use with the iPad and the first true iPad performance tool for musicians. Working seamlessly with Akai Professional’s heralded SynthStation software, SynthStation49 provides unparalleled music creation capabilities, including direct in-app MIDI recording from its velocity-sensitive keyboard, nine MPC-style drum pads and array of transport controls. In addition to its integration with the SynthStation app, SynthStation49 is also completely iOS CoreMIDI compatible, making it instantly compatible with dozens of music apps already in the App Store and hundreds more on the way. Considering purchasing the Akai SynthStation 49? Have questions? Ask people who've recently bought one. Do you own the Akai SynthStation 49? Why not write a review based on your experience with it. 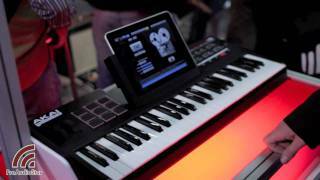 Seen a video for Akai SynthStation 49 online or have you own video? Check out Akai SynthStation 49 on DJkit.com!